Ben Woodburn scored twice and Lucas Leiva played 45 minutes as Liverpool U23s got their season up and running with an impressive 3-1 win at Arsenal this evening. Michael Beale fielded a strong side at Emirates Stadium after successive 4-1 defeats against Southampton and Chelsea, and was rewarded with a confident, commanding performance from the young Reds. Lucas, making his first appearance since sustaining an injury in the first team’s pre-season friendly at Huddersfield Town last month, started at centre-back alongside Andre Wisdom and gave a typically assured display before being replaced by Joe Maguire at half-time. The damage was mainly done in the first 45 minutes as Arsenal were overwhelmed by Liverpool’s fluid attacking trio of Woodburn, Harry Wilson and Toni Gomes. 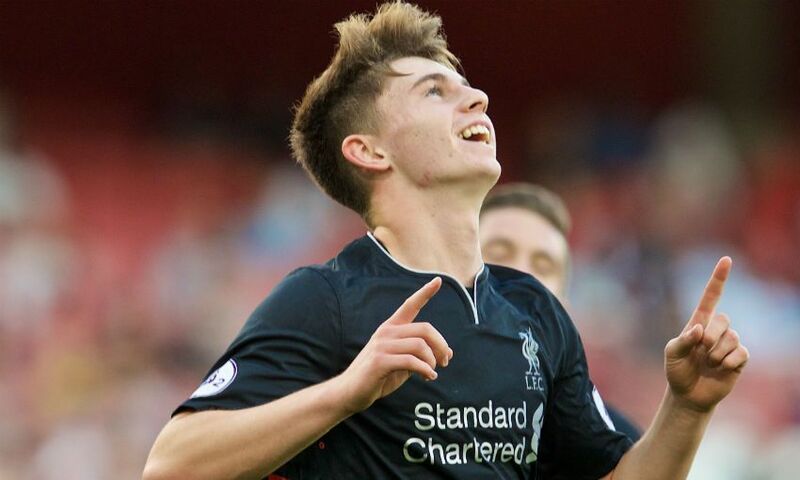 Beale’s team were ahead in the 13th minute thanks to Woodburn’s composed finish, and the 16-year-old then lit up the Emirates with a wonderful second goal shortly before the break. Chuba Akpom pulled one back for the Gunners with 23 minutes remaining, but Liverpool responded almost immediately through Gomes and saw out the remainder of the game with relative ease. Wilson and Trent Alexander-Arnold both had attempts on goal before Woodburn gave the visitors a deserved early lead. Lucas started the move with a sharp pass into the path of Wilson, who turned and laid the ball into Woodburn. The Welsh forward drew Matt Macey out before coolly slotting a low, right-footed shot beyond the Gunners goalkeeper. Liverpool continued to push forward and captain Wilson sent a free-kick over the bar before Cameron Brannagan forced Macey into a save low to his right with a long-range shot. And the Reds’ dominance was finally rewarded two minutes before half-time as Woodburn arced an unstoppable first-time shot into the top left corner from just inside the area, following unselfish work from Gomes. Beale’s team picked up where they left off after the interval and had strong claims for a penalty waved away when Kris Da Graca appeared to trip Brannagan in the area after he had been played in by Wilson. It looked like Liverpool were in for a tense end to the game when Akpom turned and rifled in off the bar from close range, but Gomes settled any nerves the visitors may have been feeling when he restored their two-goal cushion with 19 minutes left. Macey failed to deal with Maguire’s header from a Brannagan corner and Jordan Williams nodded on for Gomes to bundle home from no more than a yard and seal the U23s’ first win of the season.